How to uninstall the AntSoft products on your PC? 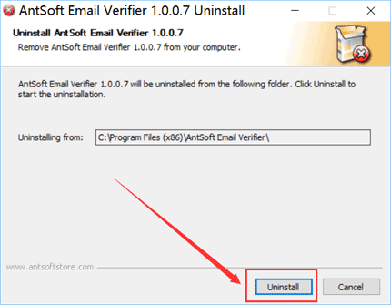 This article will tell you how to uninstall the AntSoft Email Verifier software. Step 4: press OK to finish, the AntSoft Email Verifier software are being removed from your workstation. Antsoft is a well-established software development company, dedicated to providing enterprises with various types of software tools to improve work efficiency. Copyright © 2018 AntSoftStore.com, All rights reserved.